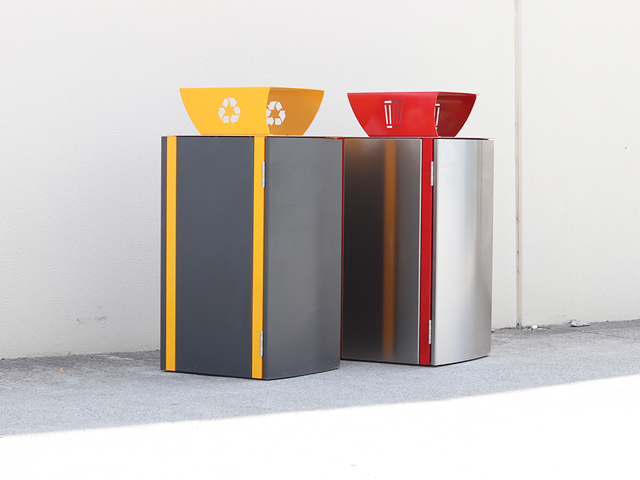 The iNfinity Series is the latest addition to Draffin’s extensive wheelie bin surround selection. A completely customisable enclosure, the iNfinity, with its ingenious sub-frame design, is a durable and versatile waste disposal solution. 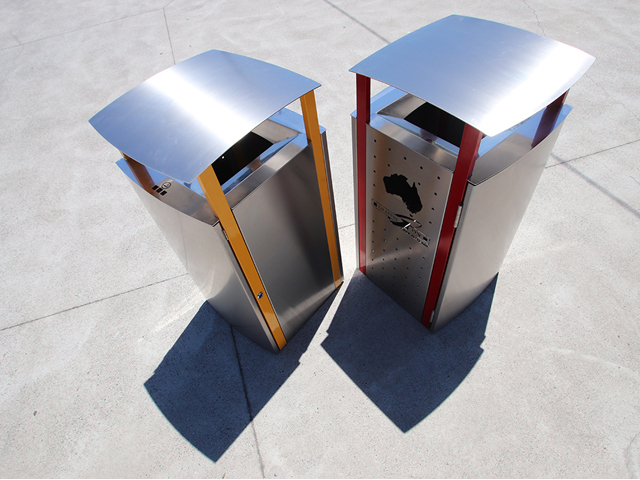 Designing your own iNfinity bin allows you to tailor a solution to fit your project’s exact style and functional requirements. 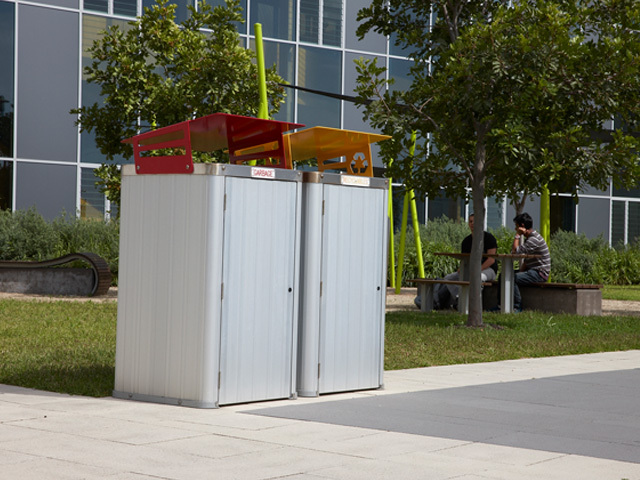 Experiment with different materials, covers, waste and recyclable openings, perforated patterns and high-quality powdercoat colours to produce a stand out feature or bin that seamlessly blends into any space. 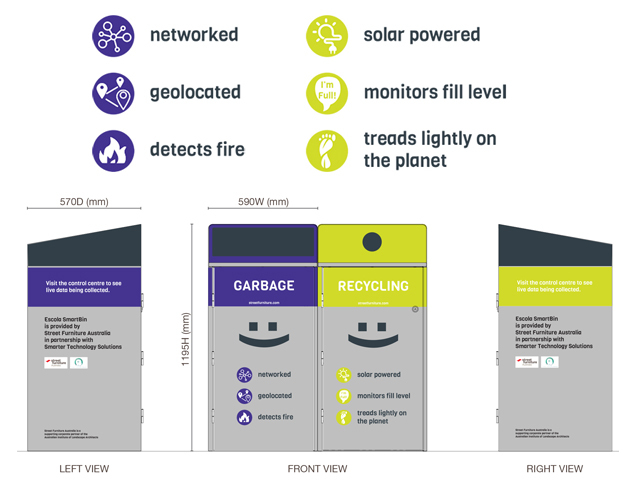 Add custom decals, vinyl wrappings and laser cut motifs to enhance your waste separation strategy. 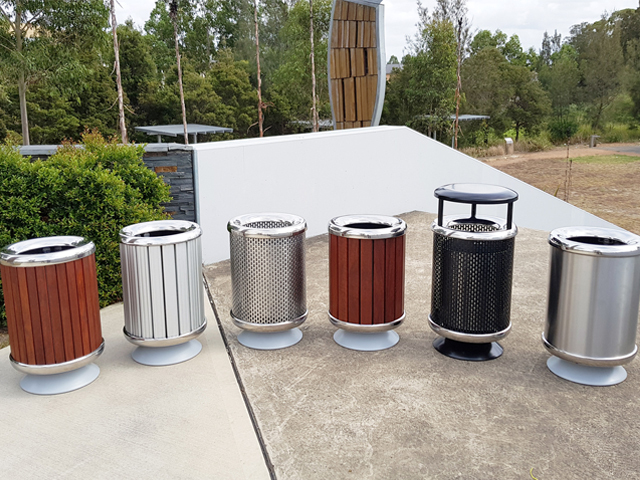 Whether it's brush-finished stainless steel, powdercoated mild steel or Australian grown hardwood, all of Draffin’s high quality materials are sustainably sourced and 100 percent recyclable. 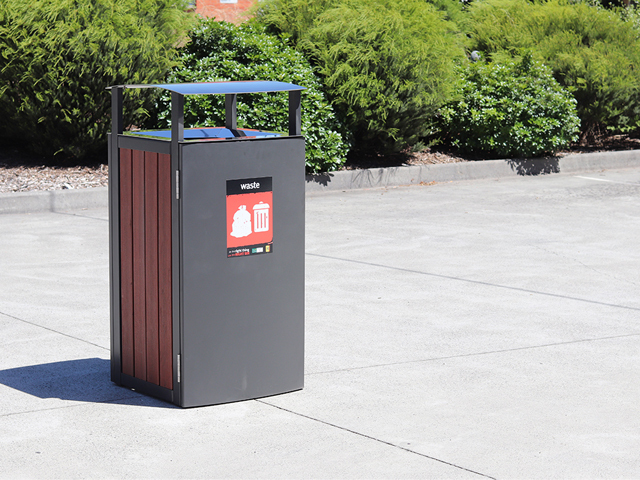 Draffin's iNfinity Series has a range of features that make it one of the strongest bin enclosures available on the market. At the core of every iNfinity bin surround is a tubular steel chassis. Unique to the iNfinity, the tubular sub frame is extremely ridged, even before being bolted to the ground. 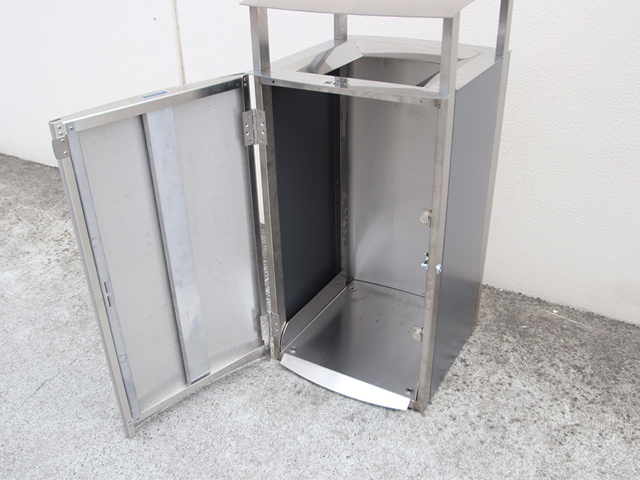 The re-enforced door panel incorporates a number of strong structural channels and the 3mm thick steel base plate enables wheelie bins to be emptied and stowed without struggle. Finally, all hardware is made from heavy duty stainless steel to ensure longevity. 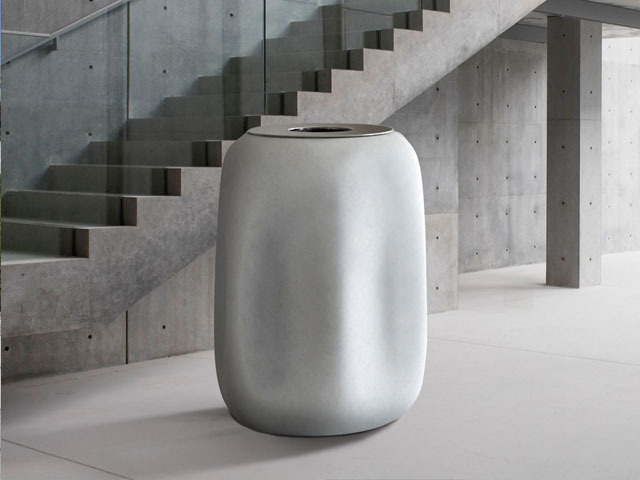 These robust features mean the iNfinity Series can withstand any of the harsh treatments that urban bin surrounds encounter throughout their lifetime. 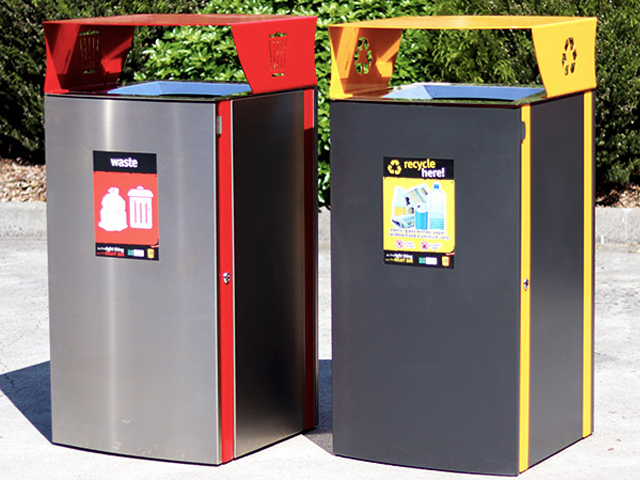 iNfinity bins can be fitted with an ashtray module, dog waste bag dispenser and fill-level monitoring sensors. 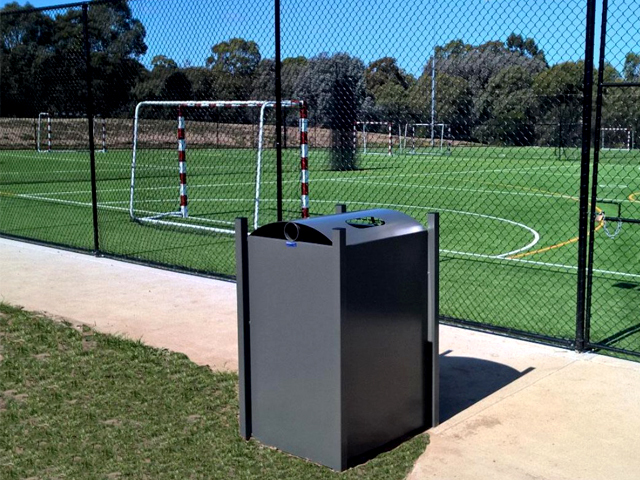 Available in 120L and 240L capacities, Draffin’s iNfinity Series is a hard-wearing, low-maintenance and vandalism-resistant waste solution – ideal for school campuses, parks and urban spaces. To find out more about the iNfinity Series bin enclosure, contact the friendly staff at Draffin or visit their website via the links below.